Led by Jane Kolodinsky, an applied economist in UVM’s College of Agriculture and Life Sciences, the study compared levels of consumer opposition to GMO foods in Vermont – the only U.S. state to have implemented a mandatory labeling policy – with consumer attitudes in the rest of the U.S. The analysis showed opposition to GMO food fell by 19 percent in Vermont after the implementation of mandatory labels. 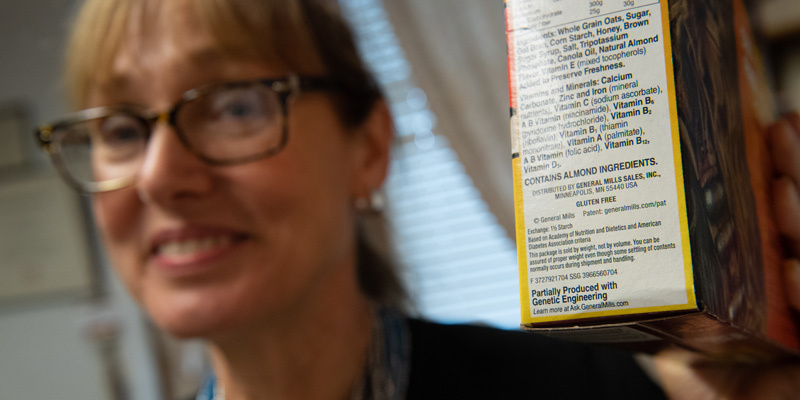 As national regulators work to develop mandatory GMO food labels, new research by UVM’s Jane Kolodinsky finds that consumer opposition to GMOs dropped significantly after Vermont adopted mandatory labels. Published in Science Advances, the research provides timely new evidence in a longstanding national debate over the impact of mandatory GMO labeling policies on consumer attitudes. -Rachel C. Leslie works in communications for the UVM College of Agriculture and Life Sciences. This story was first published on the UVM College of Agriculture and Life Sciences website. Tags: academic research, GMO, UVM. Thank you for sharing this comprehensive list. This will be very helpful for anyone looking to hire a reputable and trustworthy property management company. Do you want to change the way the world eats? Then you’ve come to the right blog. We’re here to talk food—and the complexities behind it. Here, you will find news, views, research, and more—each a key ingredient in the recipe for a new food system movement. If you would like to get involved with this Blog, feel free to contact us.